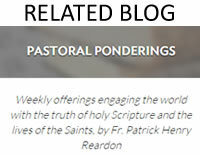 Click the button below to add the Wise Lives: Orthodox Christian Reflections on the Wisdom of Sirach to your wish list. Although it is found in every major extant Christian manuscript of the Old Testament, the later exclusion of the Wisdom of Sirach from the Protestant canon has made it one of the little-known gems of Holy Scripture. Composed in Hebrew and translated into Greek in the 2nd century before Christ, it is among the last books of the Old Testament. Sirach represents the more primitive and conservative aspect of Israel's Wisdom tradition the practical application of the fear of God to daily life but he enhances that tradition by a singular attention to biography and historical literature in the shaping of the soul. In short, Wise Lives. 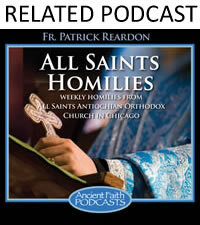 About the Author Patrick Henry Reardon is pastor of All Saints' Orthodox Church in Chicago, Illinois, and a senior editor of Touchstone. 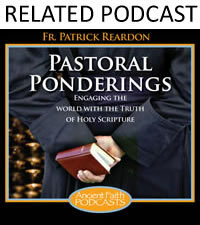 He is the author of Christ in the Psalms and Christ in His Saints, in addition to the books in the "Orthodox Christian Reflections" Bible Commentary series. He has also written more than 500 articles, editorials, and reviews, published in Books and Culture, Touchstone, The Scottish Journal of Theology, The Catholic Biblical Quarterly, Pro Ecclesia, St. Vladimir's Theological Quarterly, and other journals on three continents.